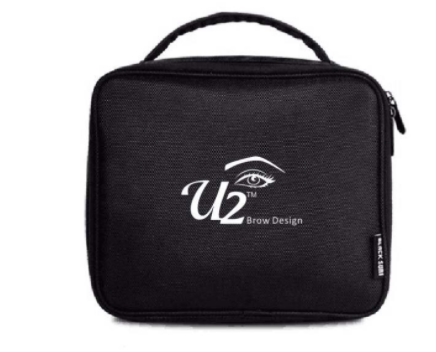 U2 is now offering courses for permanent makeup solutions for eyeliner, scalp microblading (to cover open spots on your head due to hair loss) and permanent lip line for your lip. * A non-refundable deposit of $499 is required with your registration. The balance of $500 is due the first day of the course. If you cannot attend your deposit may be applied to another course or date. *Course fee does not include the tattoo machine and has to bought separately. Students are trained on site, groups of no larger then 4 to 8 per class or on a one on one basis. Models are provided or you can bring your own. Training Manual handbook is provided. All learning supplies and produces are provided in class. You will have the option of learning all 3 disciplines: Digital or Microblading. Manual will include History & Physical forms, Consent forms and after care forms. You will learn anatomy & physiology, color theory, medical conditions & allergic reactions. Practice 5 treatments before you take a client after completion of the class. Once you are perfect in the U2 permanent makeup procedures. We will evaluate your work then you will be mailed your certification. If your model submission does not meet U2 standards, you will receive feedback and you are allowed to attend another class for free.